Ye Maaya Chesave was directed by Gautham Menon and co-starred Samantha Ruth Prabhu, Sudheer Babu and Krishnudu. 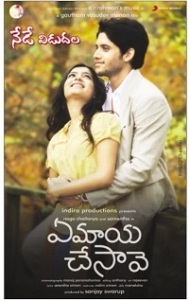 Film marked debut for both Naga Chaitanya and Samantha Ruth Prabhu. Film was made with budget of INR12.5 crore and grossed INR20 crore at box office. 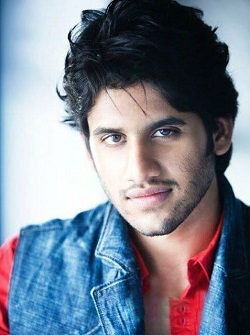 Naga Chaitanya earned nomination for Filmfare Best Actor Award for his performance. Film tells the story of an engineer who aspires to be a filmmaker. He belongs to Hindu community and falls in love with a Christian girl who is afraid of her father who is very orthodox. He tries hard to impress the girl and also to realize his career dreams. 100% Love was directed by Sukumar and co-starred Tamanna, Tara Alisha, Naresh and Meghna Naidu. Film was made with budget of INR12.5 crore and grossed INR50 crore at box office, film turned out to be blockbuster hit and completed 50 days run in 65 centres and 100 days run in few centres. Film tells the story of a rank student who helps his cousin in her studies. But to his shock she surpassed him in studies and he becomes jealous of her and try to damage her studies. Finally the couple falls in love. Tadakha was directed by Kishore Kumar Pardasani and co-starred Sunil, Tamannaah, Andrea Jeremiah and Brahmanandam. It was remake of Tamil film Vettai released in 2012. Film was made with budget of INR150 million and grossed INR320 million at box office, became super hit of the year. Film tells the story of two brothers, one is police officer and other helps the police to capture the gangsters in disguise. People think that police officer is doing his duty but in fact his younger brother fights the gangster. Antagonist comes to know the games of brother and beats the police officer. Finally younger brother helps the elder brother to train physically and mentally so that he can act with courage. Manam was directed by Vikram Kumar and co-starred Akkineni Nageswara Rao, Akkineni Nagarjuna, Samantha, Shriya Saran, Ali and Brahmanandam. Film became a blockbuster hit collecting INR50 crores at box office. Film tells the story of couple falling in love for many lives. It is based on concepts of rebirth of pure love and depicts the life of various time periods spreading 1920s to 2013. It was the last film of Akkineni Nageswara Rao and unfortunately died while working for this film. Autonagar Surya was directed by Deva Katta and co-starred Samantha Ruth Prabhu, Rakul Preet Singh, Brahmanandam and Ashish Vidyarthi. Film was made with budget of INR10 crore and grossed INR20 crore at box office. Film tells the story of an orphan who accidentally kills a goon and goes to jail for many years. He completes his engineering course in jail and dreams of building a vehicle which runs on battery. After releasing from jail he tries to realize his dreams but city Mayor troubles him unnecessarily. Oka Laila Kosam was directed by Vijay Kumar Konda and co-starred Pooja Hegde, Ali, Suman and Sayaji Shinde. Film was made with budget of INR200 million and grossed INR250 million at box office. Film tells the story of young rich man who returns to India after completing his education. He falls in love with a girl but he rejects him as she finds no sincerity. Their parents make arrangement for their marriage and to his surprise his parents selected his love as a bride to which he happily agrees but girl accepts reluctantly. He writes a book about his life events and tries to impress her but in vain. Finally after reading his books she comes to know the true feelings of him.